Professor Frank Welz (Innsbruck) is teaching sociology and social theory at the Faculty of Social and Political Sciences, University of Innsbruck, Austria. He has studied sociology, philosophy, history, andpsychology at the University of Freiburg, Germany. After completing his studies, he taught and conducted research at Freiburg, Onati (Spain), Cambridge (UK) and the University of Bielefeld, Germany. 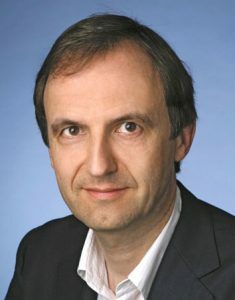 Frank has been a governing board member of the “European Alliance of Social Sciences and Humanities” (EASSH) and a (new) founding member of the “Initiative for Science in Europe” (ISE). In 2015-2017, he further served as President of the “European Sociological Association” (ESA). In his latter function, Frank promoted to conceive social science as a public good. He further stressed the new importance of making European science associationsOpen Access key stakeholders in the journal publication market.